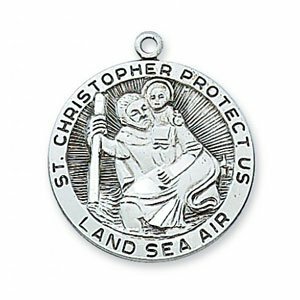 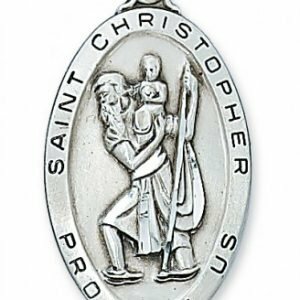 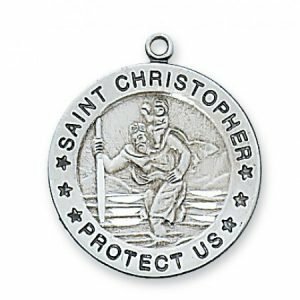 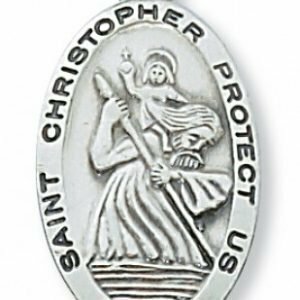 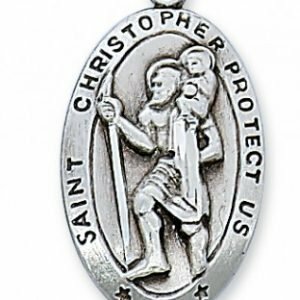 Engravable Sterling Silver St Christopher Medal in a Gift Box. 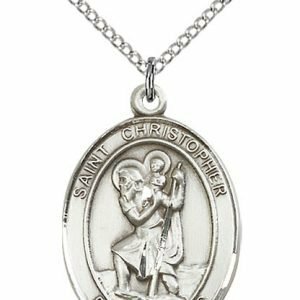 Size: 3/4 x 1/2 inches. 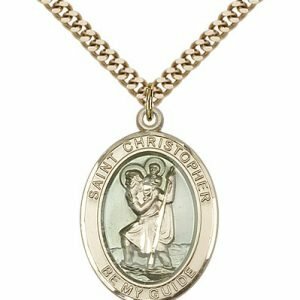 Comes on a 20 inch stainless chain.